The daffodil is a plant of the genus narcissus. It has a bulbous root, which means it grows from a bulb planted in the fall and flowers in early springtime. Daffodils are also called daffodilly or daffydowndilly. Daffodils generally have a trumpet-shaped flower with a star-shaped background. Some species have a trumpet that is a different color from the background. 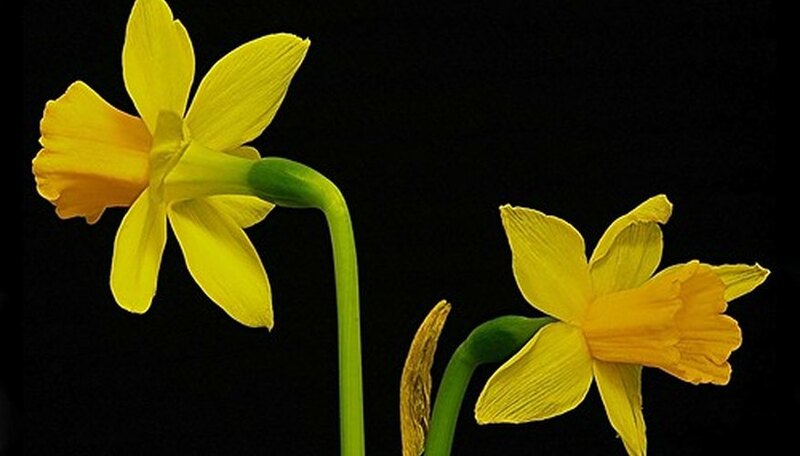 There are 13 divisions of daffodils with at least 50 species and thousands of hybrids. All daffodils, even the miniature daffodils that have smaller blooms, belong to one of 13 divisions. 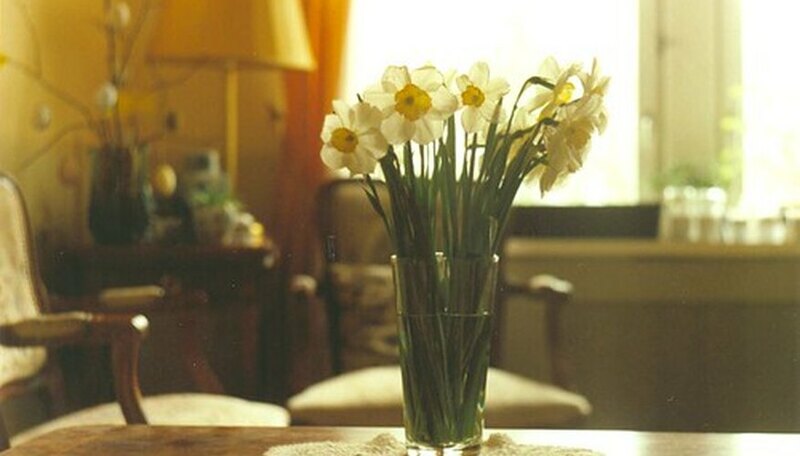 One of the more common divisions is the narcissus or trumpet large cup daffodil. It is hardy in zones 3 to 9 so can be planted most anywhere. It comes in a variety of colors, including shades of yellow and white. These flowers require full sun to light shade and the sweetly fragrant blossoms make wonderful cut flowers. The narcissus triandrus or angel's tears is delicate and long trumpeted. Daffodils grow every spring from bulbs planted in the fall. Planting the bulbs involves several factors important for success: planting depth, location, soil type and fertilizer. Planting depth depends on the size of the bulbs. Large bulbs should be planted about 6 to 8 inches deep, medium bulbs 3 to 6 inches, and small bulbs 2 to 3 inches. If not planted deep enough the plant will bend soon after it starts growing. Choose a sunny place with well-drained soil. Avoid high nitrogen fertilizer and water well. Most daffodil bulbs will survive in zones 4 to 9 where winters are colder. The cyclamen daffodil is only hardy in zones 6 to 9, and the tazetta is only hardy in zones 7 to 11. If planted out of zone, you will need to cut off the foliage after the daffodil has yellowed and died. The bulbs will need to be dug up and washed thoroughly. Keep them in a cool place until they can be replanted. Occasionally, you may discover small worms in your bulbs. 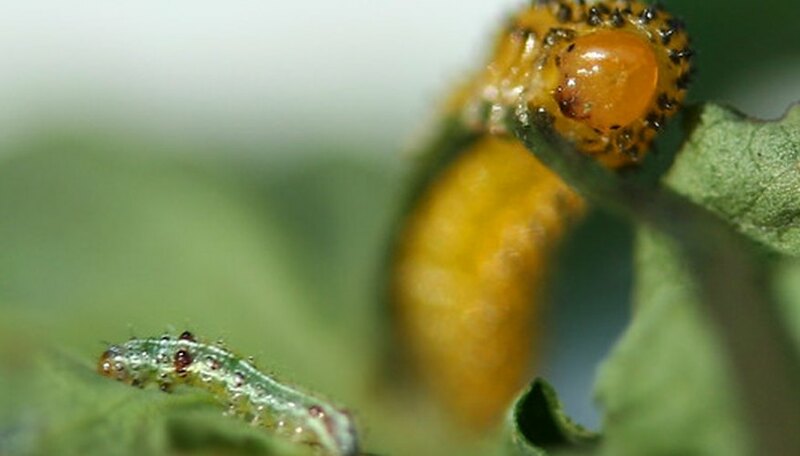 According to the University of Minnesota Master Gardeners, the worms might be two species of bulb insects: the lesser bulb fly or the narcissus bulb fly. These worms are the larvae or eggs that have been laid at the base of the plant. They hibernate until spring when they hatch the next generation of adults. Heavy infestation will lead to a reduction in the quality of plants. Throw away the worst infested plants (in the garbage, not the compost). If some bulbs have brown spots, cut them out with a knife or dust with a fungicidal bulb dust according to directions. Allow the bulbs to dry before replanting. Cultivate the soil around the bulbs frequently in the spring. Daffodils were originally grown by the ancient Greeks and Romans. During the American expansion west, daffodils were a “must have” in the garden. Today the daffodil is found in almost every garden.